Choosing a Private Transfers from Cancun Airport is highly recommended. For a very affordable price you’ll obtain many advantages in return! You don’t have to share the vehicle with any other party of passengers and you won’t wait for anyone else to come out from the Cancun Airport. Your transportation will be ready to take off as soon as you board the vehicle, besides, you won’t make any stops on the way to your hotel. Our units are quite spacious and our rates are in ranges from 1 to 10 passengers. Once you book Cancun Airport Transfers you will have the opportunity to get to your hotel In Cancun Puerto Morelos, Riviera Maya, Playa del Carmen and Tulum. 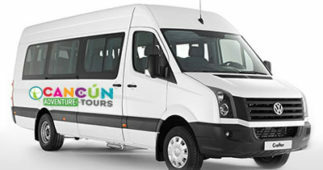 Cancun Adventure Tours has a wide range of AC Vans that will Transfer you from The Hotel to the Airport and Round Trip Transportation, avoid crowded Lines at the Airport and enjoy Cancun since your Arrival avoid making Stops at all of the Hotels this could take you forever and spend less Money than a Regular Taxi Shuttles. 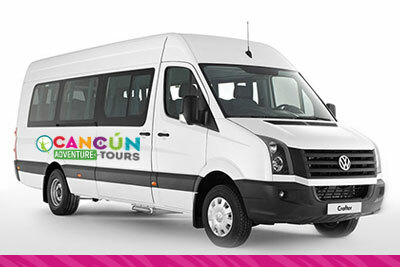 Cancun Adventure Tours is your best Option for the option for your Next Airport Transfer in Cancun. Once cleared with customs and immigration, walk towards the main exit door.Probably will be approached by timeshare sellers, please ignore. Look for our staff at the airport in the arrivals area, our personal representative will carry a banner with your name. 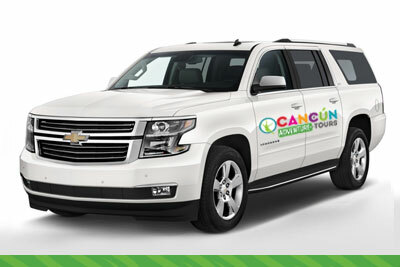 Why Reserve your Cancun Airport Transportation with Us? We know from experience that after a long flight the last thing you want to go thru is finding a taxi cab outside the airport. If that hassle wasn’t enough, you may end up paying enormous fees for their services just for buying last minute! You can avoid all that taking by the easy way instead: you can arrange, before you travel, secure and comfortable transportation from the Cancun Airport to your office, home or hotel in Cancun, Playa del Carmen, Tulum or The Riviera Maya. 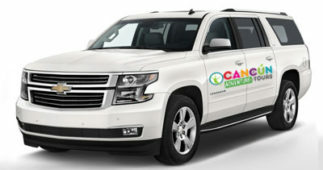 Cancun Airport Transportation have the easiest way to book Cancun Airport Transportation, along with the best prices available online for Cancun Airport Transfers service from the Airport to your hotel and back within the Cancun, Puerto Morelos, Playa del Carmen, Tulum and The Riviera Maya areas.